Visit the Napa County Animal Shelter (942 Hartle Court in Napa), or call 707.253.4382 to see if your pet is there. You can also view photographs and brief descriptions of pets that are at the Shelter on their lost and found web page. Visit the Missing Pets of the Napa Valley facebook page to see if anyone has found your pet. Napa County Animal Services, a division of the Napa County Sheriff’s office, is responsible for responding to calls about stray animals. They cover all of the unincorporated areas of Napa County and the City of American Canyon and the City of Napa. Additionally, you’ll want to contact the local veterinary clinics, as Good Samaritans will often take found pets there. Search for unusual “hiding” places around your home, like storm drains, ditches, and other dark places. (Don’t forget to bring a flashlight!) If your lost pet has been injured, it may have crawled into a small space close to home for safety. Make plenty of noise as you search. Call him/her by name, make familiar sounds, and/or bring along a favorite squeaky toy to help…but be sure to stop and listen periodically, in case the pet responds (typically with whining, barking, or meowing). If the pet doesn’t turn up, file a missing pet report with the Napa County Animal Shelter. You can do it in person (at 942 Hartle Court in Napa), or by calling 707.253.4382. If your pet is microchipped, contact the microchip company to ensure that they have your current contact information and to inform them that your pet is missing. Also call your veterinary clinic to alert them that your pet is lost. Include a picture of your pet as well as a general description and your telephone number. Make sure the text is large enough that the flyer can be read at a distance. If you can, offer a reward (but don’t say how much). DO NOT include your address or your full name, to protect against fraud or identity theft. It’s also important to make sure you don’t disclose all of your pet’s specific identifying characteristics in the flyer photo and description. Keeping a few identifying details secret gives you a way to determine whether a caller truly has your pet. There is a downloadable flyer template here, as well. Post flyers in your neighborhood – on poles and other street structures, at stores (grocery stores, drug stores, gas stations, and the like), veterinary clinics, groomers, local parks, etc. Any time you’re posting a flyer at a veterinary clinic or groomer’s, take a moment to personally tell the staff about your lost pet. That way, if your pet is brought in to them by someone else, they will have your story and information readily available and can contact you more easily. Talk to your mail carrier, newspaper delivery person and anyone who is regularly in your neighborhood, and ask them to look out for your lost pet. Take someone with you and go door-to-door talking to all the residents in the area where your pet was lost. Leave a flyer with each person you speak to. If no one’s home, attach a flyer to the door. You’ll be surprised how many neighbors will keep an eye out once they know your beloved companion is missing. 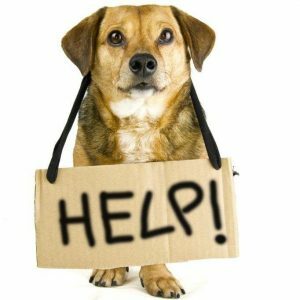 Post a missing pet report on the Missing Pets of the Napa Valley facebook page, Craigslist, Napa Nextdoor, and any other online local community pages you can think of. When posting, follow the same guidelines as for your flyer (see above). Place a “lost pet” ad in your local newspaper(s), using the same guidelines. Be diligent and don’t give up hope! Pets have been found weeks, months, and even years after going missing. 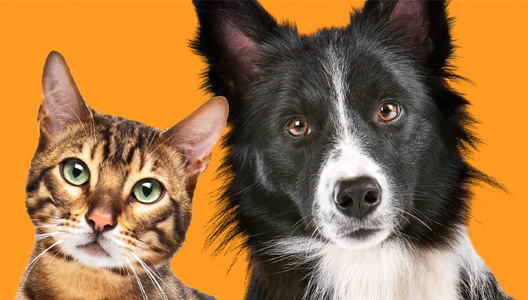 If you are reunited with your pet and s/he wasn’t previously microchipped, we encourage you to make that a priority. And, in the case of dogs, be sure to have them licensed – having both a microchip and a license greatly increases their chances of finding their way home.